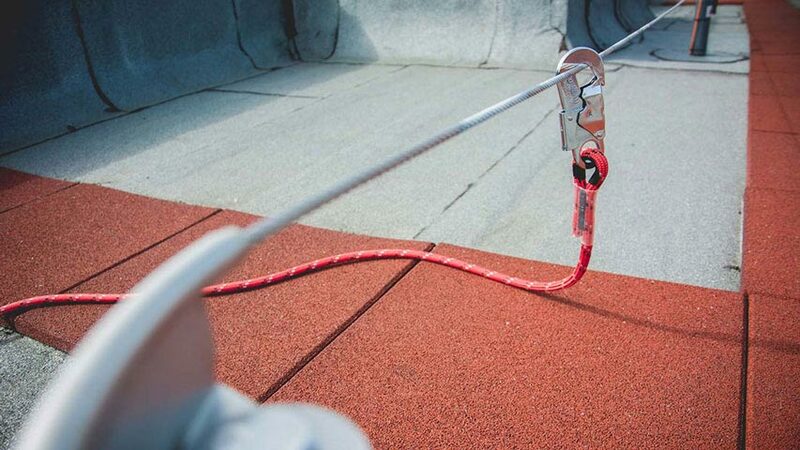 A connector is used to connect the person to be secured up to an anchorage device: One end is connected to the anchorage point or lifeline system and the other is attached to the safety harness worn be the user. A connector can either be a flexible cable or strap (connectors in accordance with EN 362) or a self-retracting lifeline (in accordance with EN 360). Generally, a connector should be used in combination with a lanyard energy absorber. Self-retracting lifelines are often equipped with integrated shock-absorbers.